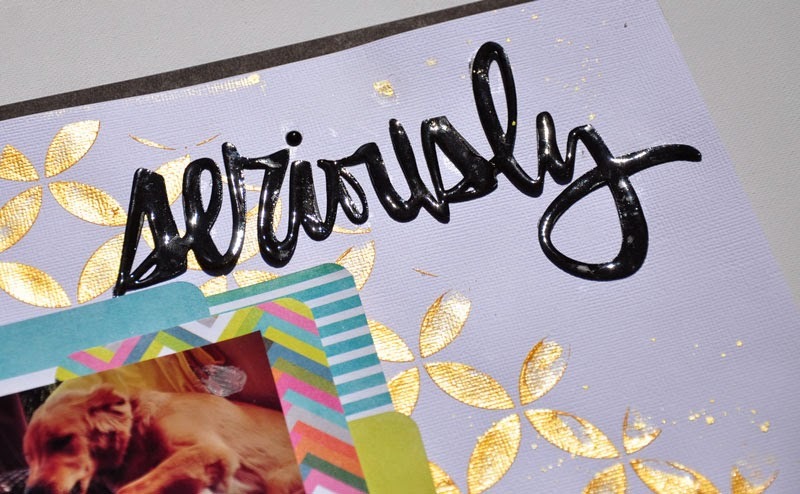 Lorrie's Story: Seriously... Kerri Bradford and Heidi Swapp Layout. 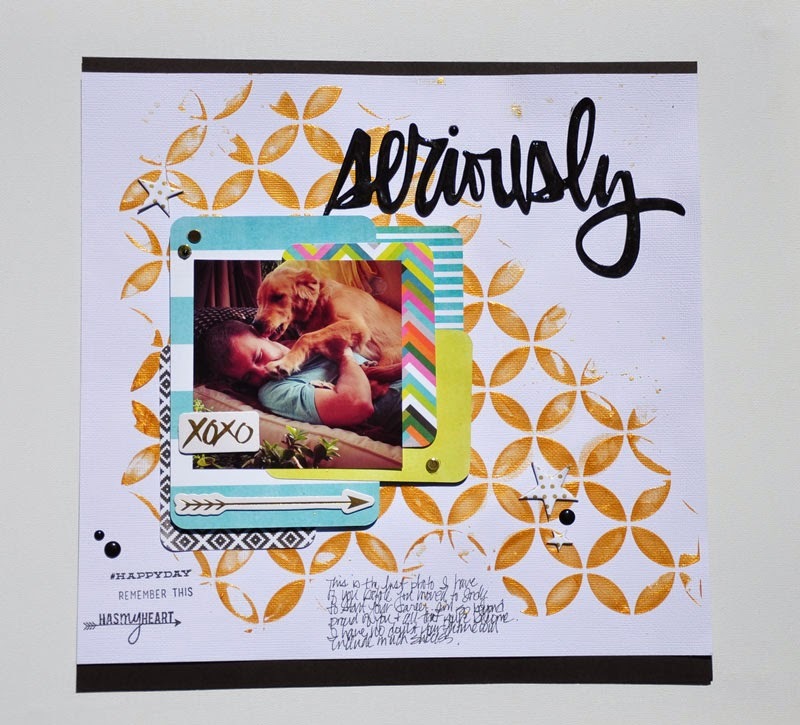 Seriously... Kerri Bradford and Heidi Swapp Layout. I had so much fun creating this layout. It wasn't for a design team and it wasn't for any kind of assignment, I just had a chance to play and try out some new products, stencils and techniques that I've had mulling around in my mind for awhile. I love the Kerri Bradford Cut files. I own several but always forget to use them. And of course, you know I had to get the new Heidi Swapp/Becky Higgins Project life kits. 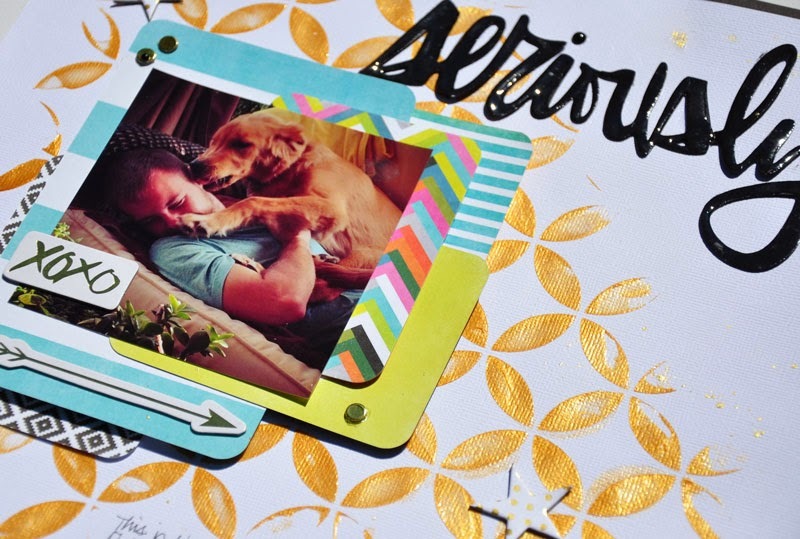 I am not a Project Lifer (yet anyways), so I wanted to find another way to use the fun 3x4 cards included in the core kits as well as some of the embellishments from the gold kit.